This is my favorite open cluster and you have done a wonderful job at capturing it at the magnification you used. Well done and thanks! 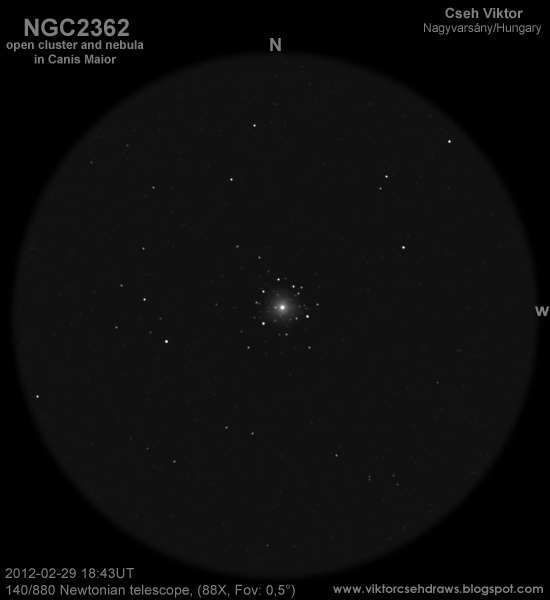 This is a very fine sketch of a beautiful little open cluster in C. Major that is enjoyable in any scope. Very nice work. Wow, how many stars, amazing. Beautiful sketch.